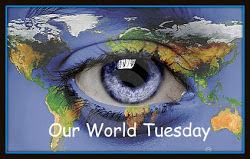 Today I'm once again linking up with Our World Tuesday, a meme that encourages bloggers to share images of their world. It's a great way to get a glimpse of life through the eyes of others! You can find out more about it here. Even if you don't participate, I encourage you to take a look at the intriguing photos that bloggers from around the world share each week. I'm sure most of you know by now that I love photographing trees, particularly winter trees. I love the shapes their bare branches make against the sky. These trees always seem to have so much character; I'm sure they have stories to tell. Wishing you all a beautiful Tuesday! 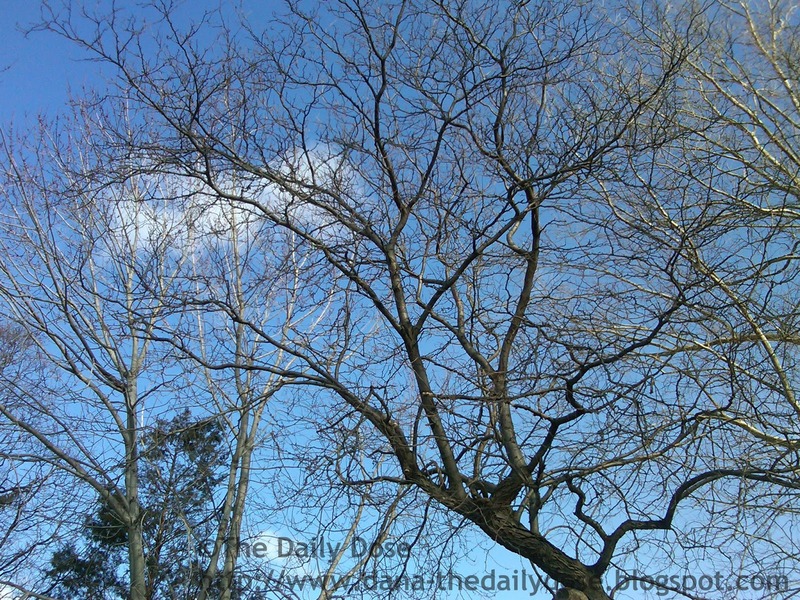 What beautiful blue skies on which to show off the bare bones of winter. happy Tuesday. thanks for reminding me about this meme. Here too, they are still naked ! I am longing for spring now ! I am, too—but I will miss photographing these branches! 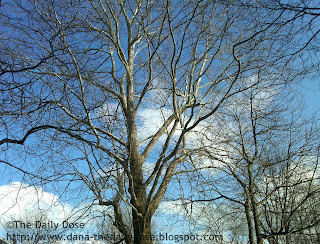 Bare trees always make me think of graveyards . . . I'm not sure why. But when you said they have stories to tell I instantly saw the branches as some great story outline board where each branch was a diverging plot... I might look at trees differently now :) thanks for sharing the pictures. That's really sweet of you to say. Thanks! I love trees so much! The winter branches look as if nature were meticulously covering the skyline with calligraphy. Calligraphy: that's a perfect way to describe it! i love those photos. happy tuesday too! looking forward to seeing buds on the trees! Sadly, we don't have a good tree for that. :( I had one when I was growing up, though. Maybe that's another reason I like trees so much. ps, you would like the trees in my mg fantasy, they have personality! i should look here to improve my descriptions! i love your trees! i guess it is their naked state that give their stories away! Very true! Leaves can definitely hide their stories. I absolutely love trees, especially really old ones. Thanks for sharing! I, too, love trees and these are so beautiful, Dana! Terrific captures for the day! Hope your week is going well! Enjoy! Beautiful shots of the trees and sky. great pictures Dana!! Just think in a few short weeks they might be starting to bloom! I love your tree photos! They are as different as people arent' they? I also love trees...especially old gnarled ones with lkots of character, and big beautiful ones like these with branches spreading wide! Have a great week! I used to do that when I was growing up. It's so peaceful out there! My dad is a retired logger, so I spent my growing-up years around trees. Loved it! Excellent composition, I like these delicious naked trees. I always like your tree pictures! Beautiful shots. You're right about trees making great subjects. Loved the pictorial post! Beautiful! oh for the love of trees, their branches stretching upwards to embrace the sun. Great post. Intriguing is a good word for them. :) Love "naked trees!" Gorgeous! What a clear blue sky. Ours was all gray today, but at least no rain or snow. A trunk full of stories branching out in all directions no doubt....? Thanks for this delightful post. I love how in winter the trees being bare allow us to see the beauty beyond them that they kept hidden from view in the summer when they were in full leaf. That's so true. I think trees are beautiful all year but are most striking in the winter, for the reason you gave. I love trees as well. Always have. Great stuff.